The federal government is moving forward with plans to protect more fish and their habitat, and recognize fishing as culturally and socially important to Canada's coastal communities. 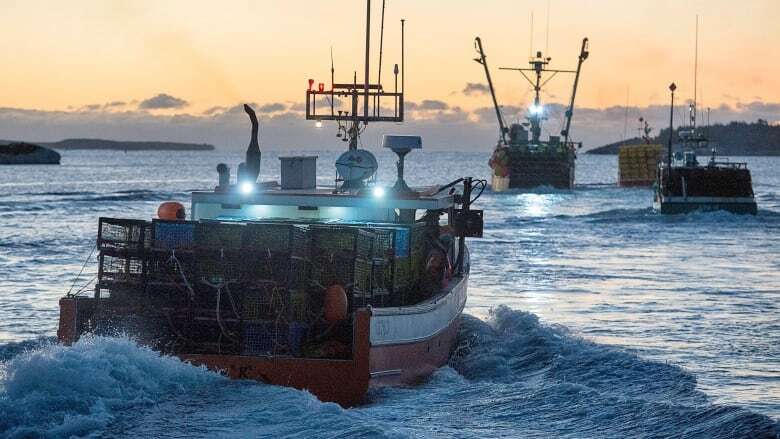 Fisheries Minister Dominic LeBlanc announced the amendments as part of a long-promised overhaul of the Fisheries Act, which covers fish, shellfish, crustaceans and marine animals, while in Vancouver on Tuesday, the same day changes were tabled in the House of Commons. The proposed legislation comes as Ottawa overhauls its environmental and regulatory processes. One of the marquee updates to the Fisheries Act rolls back a controversial Conservative policy. Before 2012, the Fisheries Act banned all activities that harmed fish habitat. That year, Stephen Harper's Conservative government introduced omnibus legislation that prohibited activities that affected fish in commercial, recreational or Indigenous fisheries. At the time the Conservatives justified it, explaining the changes would mean farmers would no longer have to navigate a sea of red tape to clear out drainage ditches or alter what they consider insignificant bodies of water. "No habitat means no fish," said Leblanc. LeBlanc said the government is spending $284.2 million to restore those lost protections and introduce new ones. Some of that money would be used to enforce the new law, including hiring new officers. The Liberals' changes also hope to protect the independent inshore commercial fishery. Canada's owner-operator policy means individual fishermen are required to fish their licences personally and reap the rewards. The fleet-separation policy ensures corporations cannot both be harvester and processor. But the Department of Fisheries and Oceans says it has been battling controlling agreements, which it says are an effort by companies and fishermen to get around those policies. Companies say the arrangements guarantee the supply they need to justify multimillion-dollar investments in facilities. The newly announced proposals would enshrine "the social, economic and cultural factors" of fishing and promote independent licence holders, said LeBlanc. The New Brunswick MP, whose father was also a federal fisheries minister, said the government will be enabling regulations to support inshore licence holders and make sure only a licence holder can use the permit. The legislation would also give the government the power to introduce regulations to help rebuild depleted fish stocks. A 2016 audit from the federal commissioner of the environment and sustainable development warned of another fish species collapse. "We are still at risk of having another stock potentially go into collapse, similar to what happened to the [northern] cod," said Julie Gelfand at the time. Leblanc said the act would also work to ban capturing whales, dolphins and porpoises in Canada for the purpose of keeping them in captivity. The act would make exemptions for cetaceans that are injured and need to be rehabilitated. The the government will also have to consider the rights of Indigenous peoples and "traditional knowledge" when making decisions about fish habitats. The amendments to the Fisheries Act will be followed later this week by other bills, including ones to revise the Navigable Waters Protection Act, overhaul the federal environmental assessment process and the shake up the National Energy Board. Green Party Leader Elizabeth May called Tuesday's announcement a welcome change. "The bill's heavy emphasis on science is to be applauded. The inherent value of fish and fish habitats have finally been restored, leading towards a sustainable way of managing this vital part of our environment," she said in a prepared statement. "If the changes the government will present on the National Energy Board, Impact Assessment and Navigable Waters Acts are as progressive as this bill, then we will applaud the government for fixing what Harper broke."